How to open a link in a new blank window instead of self window? 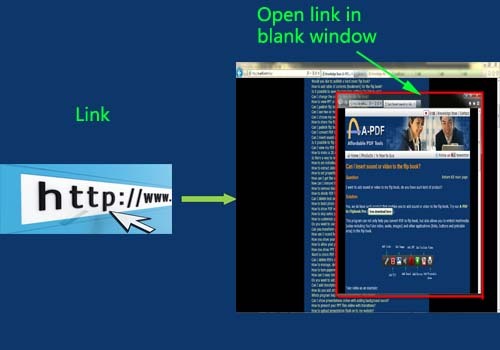 I've put a few links in the flip book, and when I click the links, they turn to the webpage but in the same window. How can I open a link in a new blank window? 3. Apply change and choose output type to publish flip book.